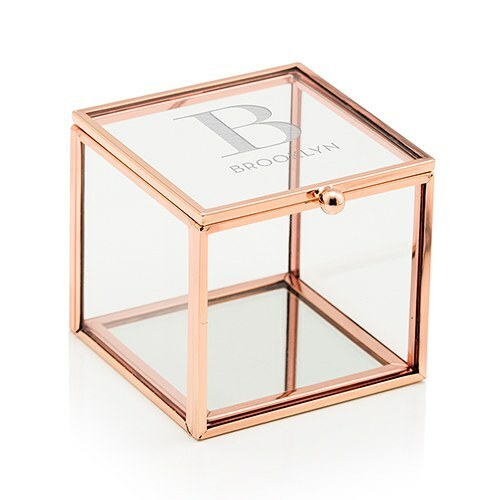 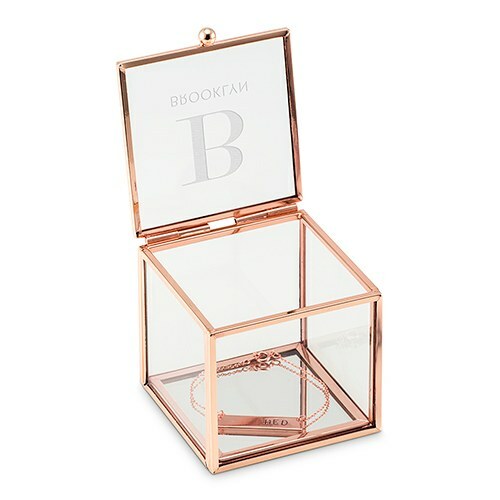 Store your trinkets and treasures beautifully in this small Rose Gold Glass Wedding Ring Box featuring gorgeous rose gold edges, a hinged lid and a mirrored bottom. 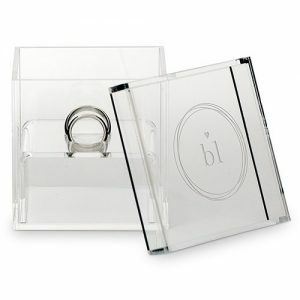 This little cube shaped beauty offers a stunning way to display your special jewelry pieces when you’re not wearing them. 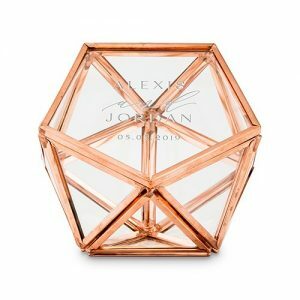 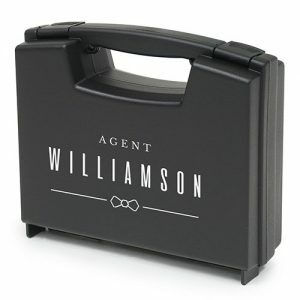 Personalized with the timeless appeal of a modern serif monogram and name, this makes a classy gift for your bridesmaids, flower girl, mom or girlfriends.